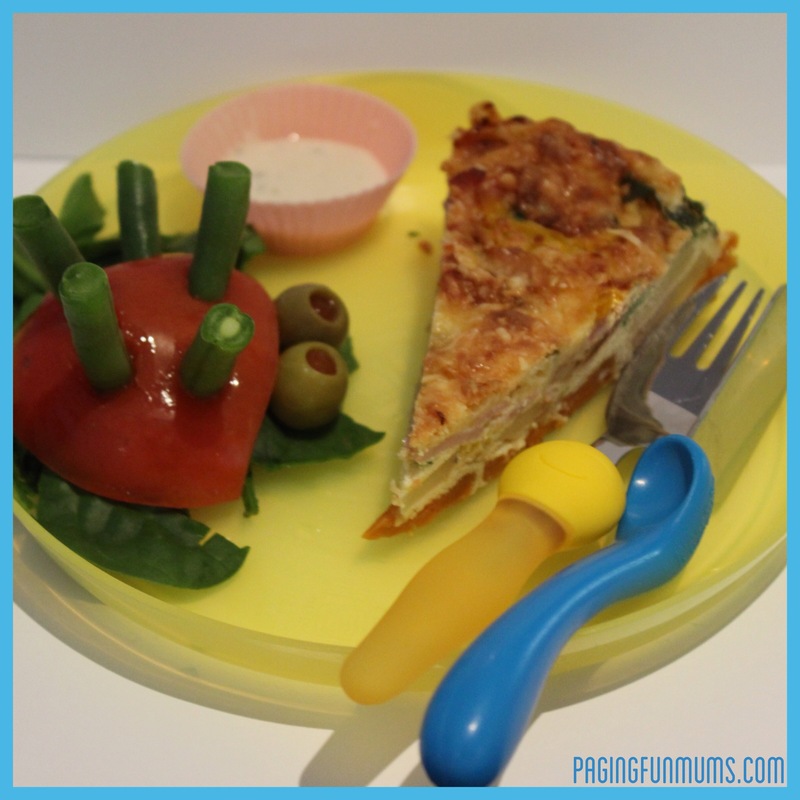 We made this yummy Frittata for Lunch today using the leftover veggies from last night’s Sunday Roast. 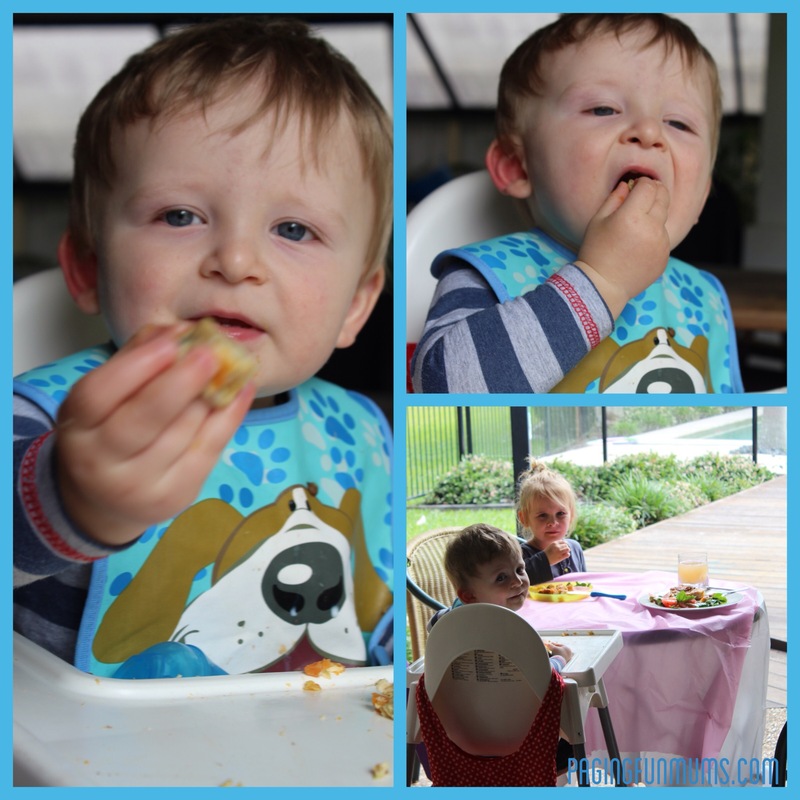 I always love to sit and eat as a family and it makes my heart sing when they enjoy the meal and each others company…today we set a table up outside as it was a beautiful day, my daughter called it her ‘restaurant’. Huge hit with 15month old! As I mentioned we used some leftover roast veggies but you could use pretty much anything with this basic egg mixture. In a medium bowl whisk eggs, cream, 1/3 cup cheese (keep remaining 1/3 cup to sprinkle on top) together in a jug. Season with salt and pepper. Fry the bacon in oil, on a medium heat until browned, add the leek & cook until soft. 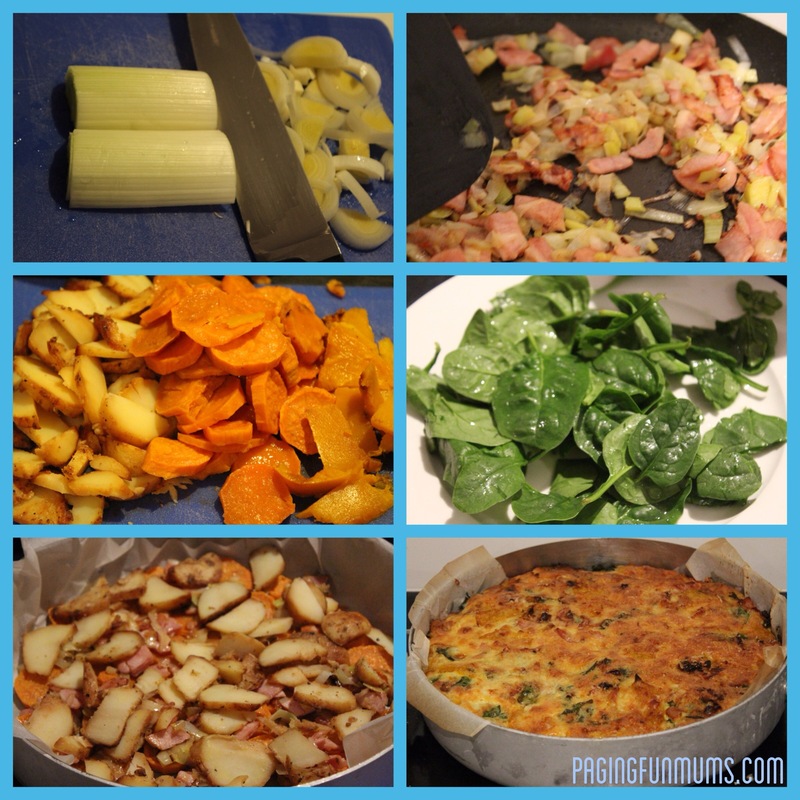 Start to layer the leftover veggies, spinach, bacon & leek in a lined baking dish or pan. Poor over the egg mixture and then sprinkle with remaining cheese. Bake in oven for 25min or until golden and set in the centre. My whole family loves this served hot for dinner, then served cold the next day for lunch – that means my roast veggies have made 3 meals! Yay! 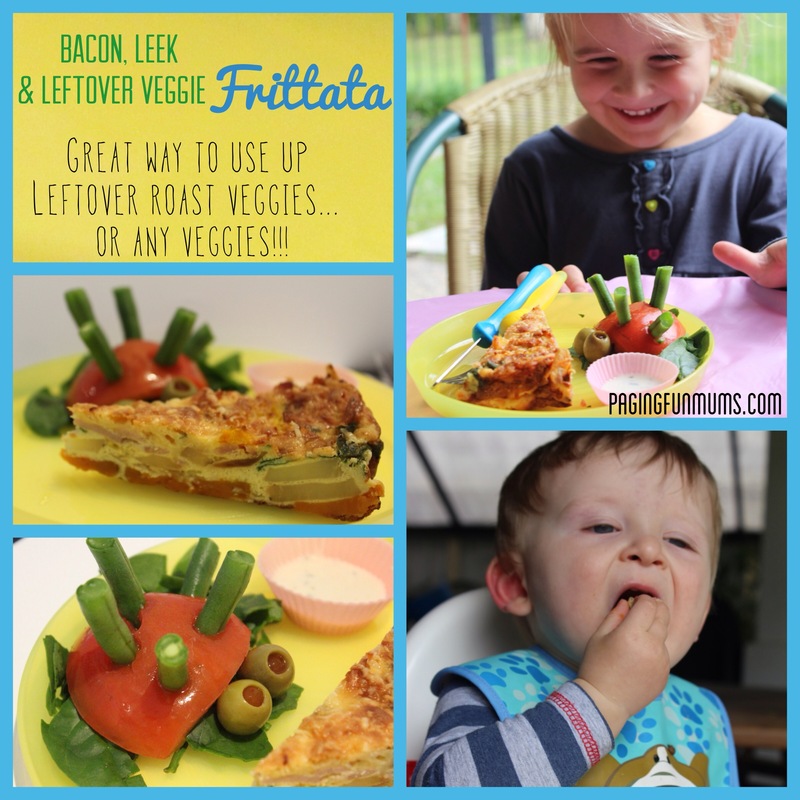 PS- This is a HUGE hit with my 15month old baby boy too and it would be perfect in a school lunch box.